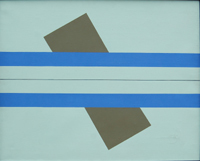 Composition, 1979. 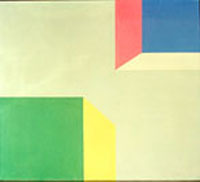 Tempera on canvas, 23-3/4 x 29-1/4 in. 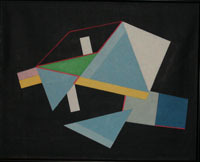 Composition, 1981. 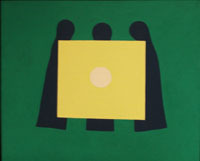 Enamel on canvas, 33-3/4 x 37-1/4 in. Trinity, 1982. Oil on canvas, 19-3/4 x 23-5/8 in.